I’ve been working on this in my spare time for the past ~3 months. It’s been a fun ride and a lot of people really like what I’ve made so far! Good feelings all around. 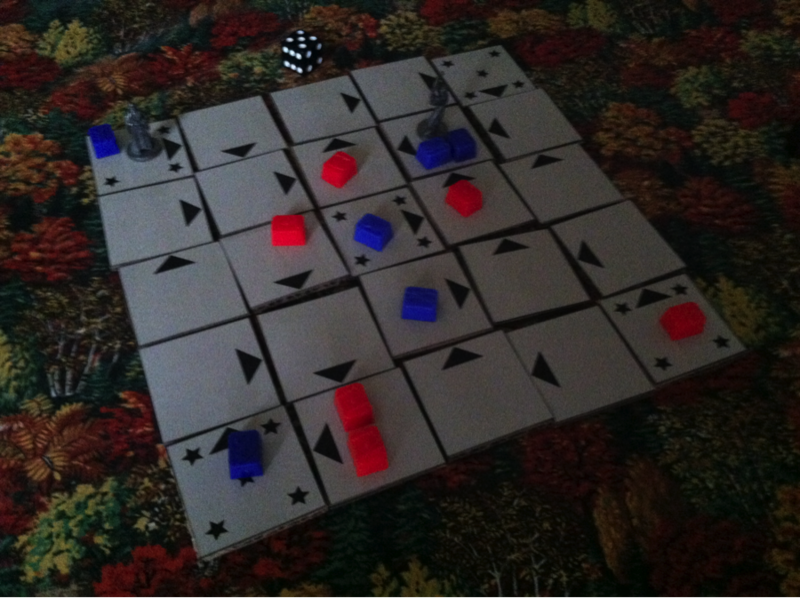 On a player’s turn, he first rotates (almost) any tile on the board. Generally, he’s going to try to rotate it so that anyone but him will be in the path of the shark. And that’s the gist of it! I’ll be presenting this at Plattecon at the end of the month. I look forward to seeing some of you there! The shark was molded by my sister. It’s so cute. I’ll do another post about that in the future, if people are interested. Disclaimer: if you want to make this login form for your website, but have users whose usernames are not accessible publicly, do not use this. See the Pen Combined Login Form by houghtona (@houghtona) on CodePen. 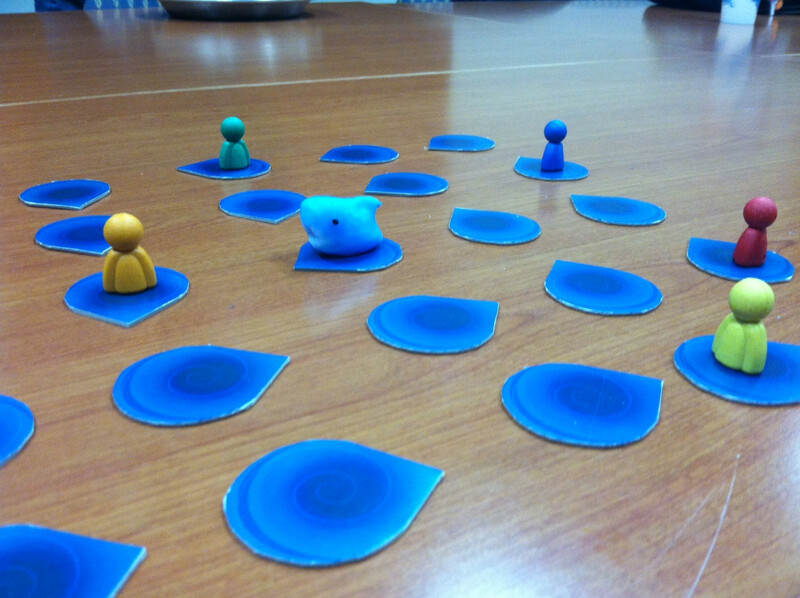 I have been reworking Story Game. It’s a game that lets people tell interesting stories with other people. Before, you could only make stories if there were other players online. It was all live and so there was no helping it. Now, anyone can hop into a story at any time. There’s less in the way if someone wants to just tell a story. I don’t think flat design is any real big deal, and anyways, this isn’t totally flat. There are elements of the page that break the simple “one-tone” design and the user is meant to be drawn to them. Shadows and animations are the primary effects. Font sizes are also larger and expand for larger viewing. The site is responsive. It can be played on a handheld device, but the one-column design doesn’t work as well as I’d like, so I might futz with that. Measurements, font sizes, etc. are all done in em’s, making it very easy to change the relative size of everything on a page. My favorite part of the new design is the login form. Try it out! I will likely make next week’s post about it, if I have time to make a CodePen for it or something. The functions used for implementing Ajax were changed as well, and for the better. Only one global variable is used for Ajax handles, but I’ve created a buffer system that mitigates any issues that would normally (and has in the past) cause. This also helps reduce the potential load on browser and server, since Ajax calls can be made only every tenth of a second. That’s all I have to say on it for now, but if folks have suggestions on making the site better, contact me and I’ll try to get back to you! I’ll be updating this blog once a week, every Wednesday this year. They will be short and succinct, and no one will read them, but that’s fine. I just really want to start updating this thing. I’ve removed all previous posts, as I’d like these 53 to stand alone.